Jon Gooch or as you probably know him, Feed Me, is one of the world's best producers of electronic dance music. He dropped a huge bomb on the world with a twitter post last May talking about how he was going to be taking a hiatus from touring to focus on other things. Since then he has been busy in the studio creating music and also founding his own record label called Sotto Voce. Later Jon would announce that in 2014 he would return to touring the world, thank god! 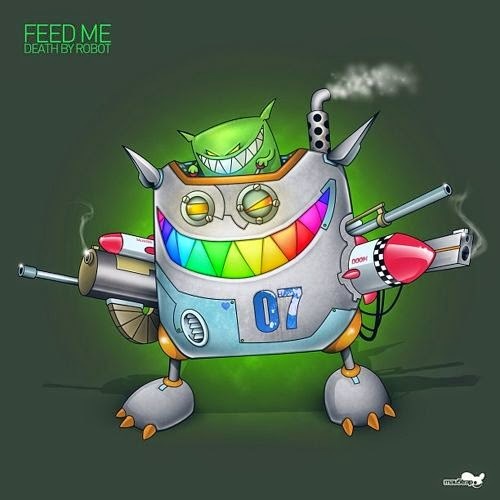 Today's song of the day is one of the best tracks from Feed Me's album Calamari Tuesday entitled "Death By Robot". The Noisy Freaks - "Selection"
Case & Point - "Savage"
Wakarusa Full Line-up Now Available! 420 Posts... Let's Get High!